The Wii U Virtual Console finally gets some new content in this week’s Nintendo Download! Capcom has decided to release the first three Final Fight games on the eShop. Final Fight, Final Fight 2, and Final Fight 3 for the SNES are all available for $7.99. In addition, Capcom is running a promotion where buying one of these three Final Fight games will allow you to purchase any of their other fighting games for 50% off. This includes games like Street Fighter II: Turbo: Hyper Fighting. Also, Little Inferno is currently discounted to 50%, or $7.49, from now until October 9th. Meanwhile, the 3DS gets Picross e3 ($5.99) and a Witch & Hero demo for its eShop. 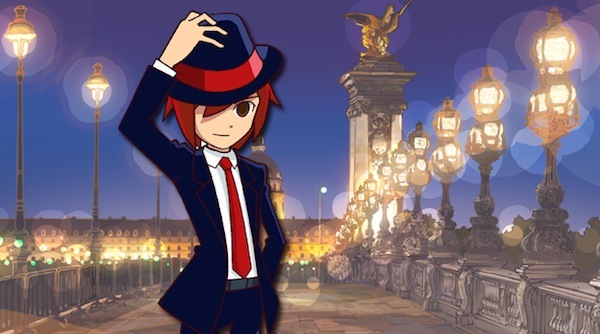 In addition, SEGA has released a digital version of Rhythm Thief & the Emperor’s Treasure on the eShop for $19.99. Considering the game isn’t available online at GameStop and physical copies of the game are fairly pricey on Amazon, now would be a great time to check it out if you haven’t already. Our own Jeff Neuenschwander gave it a 4.5 out of 5 in his review, so you’d definitely be getting your money’s worth. Just Dance® 2014 – The party is back! Just Dance 2014 is bringing new moves to more than 40 of today’s hottest tracks and legendary hits. Take the fun to another level by playing with anyone in the world, leading back-up dancers or using the Wii U GamePad controller to dish out the next move to up to four other players. Just Dance 2014 is available on Oct. 8. IndieCade – The IndieCade Festival, happening in Los Angeles on Oct. 3 through Oct. 6, is the largest U.S. game celebration to encourage, cultivate and publicize the independent gaming sector. Find out which creative and innovative games will appear in the Nintendo booth. Final Fight™ Promo – Starting today, buy Final Fight, Final Fight 2 or Final Fight 3 in the Nintendo eShop on Wii U and get 50 percent off the purchase of another fighting game, like Street Fighter II’ Turbo: Hyper Fighting and other selected games. This offer is good until 9 a.m. on Oct. 10. To view this week’s Nintendo Download in its full graphical version, please visit: http://news2know.net/nintendo/downloadT87he59p.php.